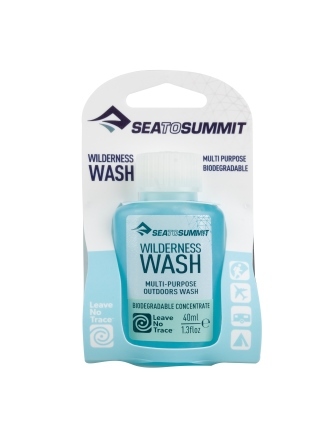 This super concentrated Wilderness Wash goes a long way, it is gentle on fabrics and skin but effective on dishes and laundry stains. Available in a handy 40ml light weight plastic bottle. 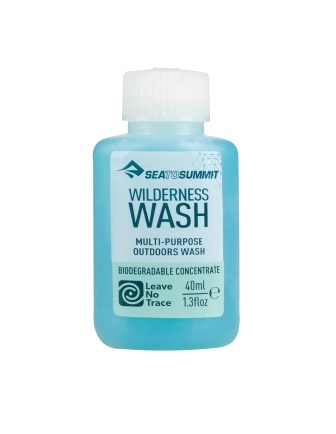 Although biodegradable, we recommend you always Leave No Trace outdoors by washing at least 100m from waterways.